A Foodie Bibliophile in Wanderlust: Happy book birthday to A Snicker of Magic! 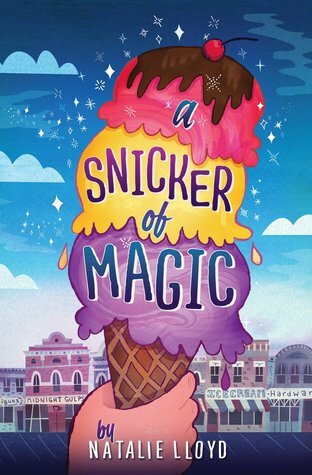 Congrats Natalie Lloyd on your debut novel, A Snicker of Magic, out today in hardcover. If you follow me on Twitter or read this blog with some regularity, you know that this is already my favorite book of 2014, but it's so much more than that. It's only just out today, but I'm declaring it an instant classic. It belongs in the same sentence as books like A Wrinkle in Time, Charlotte's Web, Because of Winn-Dixie and When You Reach Me. Check out my Nerdy Book Club review of A Snicker of Magic and my interview with Natalie Lloyd. Order your copy of A Snicker of Magic today!